Oxana Brik, is a professional Spokane photographer specializing in weddings, senior photos, families, commercial and more. While there a lot of photographers in business here, Oxana's clients are impressed with her special creativity that is expressed in their photos. The photo shown above of Valley Christian senior Maddie Johnson is a good example. Oxana knew Maddie was wearing a yellow dress to the photo shoot, so she brought yellow balloons to make the shots even more creative. A Washingtonian by zip code and a world citizen by heart, Oxana is a graduate of the New York Institute of Photography. She started her photography career in 2009 in Alaska and moved to Spokane in 2013 and started her studio here. You can see more of her creativity at the website oxanabrik.com. There's more information on Facebook at Oxana Brik, Photographer, as well as on Instagram. The phone number is 509-720-0545. 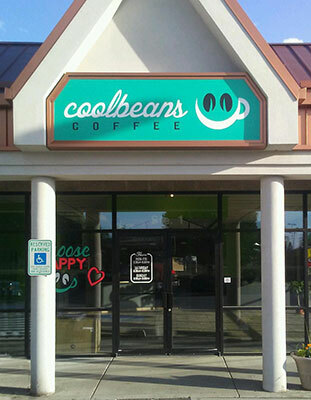 Cool Beans Coffee has just opened their second location at University Road and Appleway Boulevard in Spokane Valley. The 1,700-square-foot coffee shop has inside seating as well as a drive-thru window. It's the second location for Cool Beans Coffee, which first opened at 44th and Regal on Spokane's South Hill in 2011. Cool Beans is expanding their food menu at the new location with more pastry options, soups, sandwiches and salads. You can learn more about Cool Beans Coffee on their facebook page. 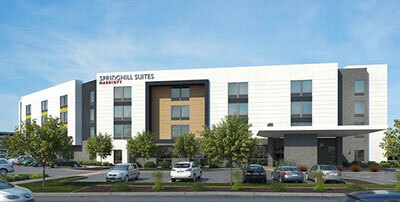 Construction starts soon on a new Springhill Suites hotel at Spokane International Airport. Tharaldson Hospitality Management of Fargo, North Dakota is developing the new 4 story, 110-room hotel, which will have an indoor pool, fitness facility and a business center. It is scheduled to open in the last half of 2019. Inland Northwest Business Watch has reported that Etailz,Inc., a large partner site, selling goods on Amazon, Jet, Ebay, Wal-Mart, Wish and Alibaba's websites has completed a move to Spokane Valley. The company is actually owned by the much larger Trans World Entertainment of New York, but the main Etailz HQ has been in Spokane. Etailz is now in a 40,000-square-foot leased space at 2818 N. Sullivan Road that was formerly occupied by Itron. Etailz is already operating out of the new facility, where they employ about 250. Previously the company had operated in a much smaller office space at the McKinstry Station building nearby Gonzaga. With this new move Etailz now has 4 times the office space, while still enjoying a casual, hip working environment. Also, coming later this year to the building at 2818 N. Sullivan Rd. will be the HQ of Stay Alfred, leasing 37,000-square-feet of space. This unique business is currently headquartered in a smaller building on Sprague Avenue just east of Division. Stay Alfred operates travel apartments in 25 US cities and is known for leasing cool and upscale places in lively locations. It was even recently announced that Stay Alfred will operate one floor of 'The M' apartment building in Downtown Spokane. The concept is somewhat similar to Airbnb, VRBO. YWCA Spokane has announced its 2018 Women of Achievement Award Honorees. These 9 women will be honored at the Women of Achievement awards luncheon, held at The Davenport Grand, Thursday, October 4. For 36 years, YWCA Spokane has celebrated successful women at its annual luncheon, honoring over 230 women in our region. The event increases awareness and appreciation of the diverse contributions of women leaders in our community. To be awarded a YWCA Women of Achievement Award, a woman must embody YWCA Spokane's mission of eliminating racism and empowering women and promoting peace, justice, freedom and dignity for all by generously giving of herself to make Spokane a better place for everyone to live. For more information on the October 4th Women of Achievement awards luncheon, visit ywcaspokane.org/women-of-achievement-2018. Funky Junk, the biggest and longest running Antique and Craft Festival in Idaho is back for its 11th year as a Labor Day Weekend tradition at Sandpoint's Bonner County Fairgrounds, Saturday and Sunday, September 1 & 2, from 10am-4pm. 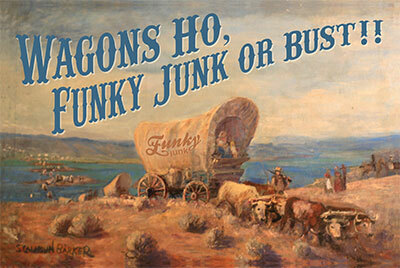 Funky Junk will have lots of great treasures and amazing crafts. You'll find everything from salvage to retro and anything in between with over 100 vendor booths. There will also be a special tribute this year to the Pioneers of the Oregon Trail and history of the region. This year they are adding a saloon called 'Under the Sun' which will be serving beer, wine and selected signature drinks. There's also live music both days and lots of food too. Admission is $5 (good all weekend), Children 12 and under free. Go to www.funkyjunkantiqueshow.com or Funky Junk Antique show on Facebook.